Earlier this year, the Prime Minister, announced that the 457 visa subclass is set to be replaced by Temporary Skills Shortage Visa. The 457 visa is the most common type of employer sponsored visa for immigration to Australia. Over 200 occupations have been removed from the old occupations list which is divided into 2 parts. The Short Term Skilled Occupations List (STSOL) and Medium and Long Term Strategic Skills List (MLTSSL). Increased checks between the ATO and other government departments to ensure that 457 visa holders are not getting paid less than the minimum salary requirement, working multiple jobs or in breach of any other working condition. The new visa, set to replace the 457 by March 2018, has two groups; Short Term Stream & Medium Term Stream. Each stream has different qualifying criteria and conditions. Any 457 sponsorship, nomination or visa applications that are NOT on the new list (please contact us to check your occupation) and NOT decided by 18th April 2017 will not be approved. It’s possible that some DIBP application fees may be available. 457 applications lodged from 19 April 2017 onwards will need to have the occupation on the Short term Skills Occupation List (STSOL) or Medium & Long Term Skills Strategic List (MLTSSL) occupation lists. If you are granted a 457 visa after 18 April 2017 which is on the MLTSSL list, it can be granted for 4 years. You will be able to be apply for a permanent 186/187 visa after 3 years on a 457 visa if that company decides to nominate you. Were you thinking about applying for a 457 visa and now not sure what to do? 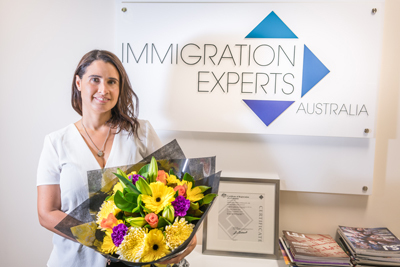 These changes to the 457 visa system mean that many people now have to change their strategy for migration to Australia. If you’re unsure what to do next, or unsure whether or not your chosen application is on the MLTSSL or STSOL lists then please get in contact with one of our experts. If you’re an employer, and not sure where this leaves you with regards to one of your sponsored workers, please get in touch.